Last time we looked at how to create a bestiary this time we will be looking at how to make a botany list. Now most of the steps are similar so this time I will try and keep it brief. Once again a good place to start is at the plant life which is growing around us right now, and believe me when you start looking into it you will find some weird and wonderful things, for example the Dragon Tree and this beautiful star-shaped flower. And like before you can play around with size and colour. 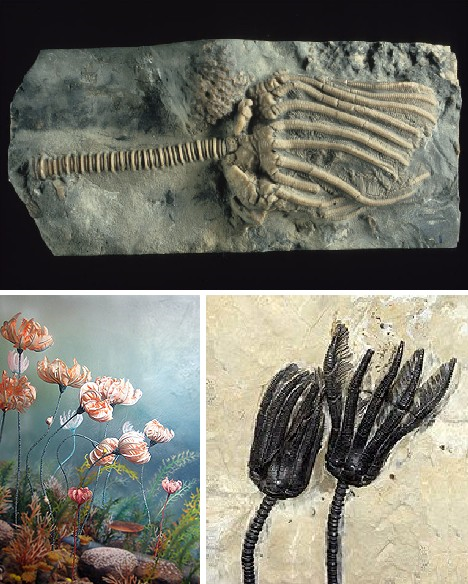 There are also many amazing extinct plants which you could utilise. Like the sea lily which sounds as beautiful as the artists rendition. Searching through mythology again is another great place to get ideas some of which are hilarious like the vegetable lamb of Tartary a plant believed to grow sheep as its fruit, or there is the more sinister Ya-te-veo plant with stems resembling serpents, which attacks anything that comes near it. Now that you have your plants you will want to write them down, personally I use a notebook and once again place them in alphabetical order. First up you will want to write a description of the plant for example. A tree which can grow to the size of a mountain, characterized by a thick and tall trunk its branches sit high and are spread widely apart from one another. Then I will clarify in what terrain the plant is located and I will talk about some of its properties, for example perhaps its leaves have healing properties or its berries are poisonous. The leaves of which are haemostatic and are often used to prevent internal bleeding, to do so one must ground them into a fine powder and mix into an elixir. Unlike with the bestiary however I typically do not draw a diagram however you might wish to draw a small illustration for memories sake. And that is all there is too it. Now that we have all the natural stuff sorted out for our world it’s time to look at the supernatural and the magical.